This beautiful house dates back to the 18th Century and is a fine example of a large estate farmhouse of the period. 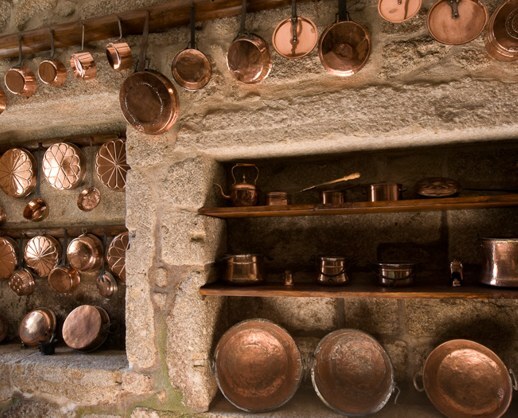 Steeped in history and with many interesting artefacts, it was recently restored to very high standards, in the traditional style, and provides comfortable and stylish accommodation. It also has a private chapel. Casa Vilela is a three storey villa. Throughout the house, original features are tastefully combined with modern conveniences to create a welcoming and attractive interior. 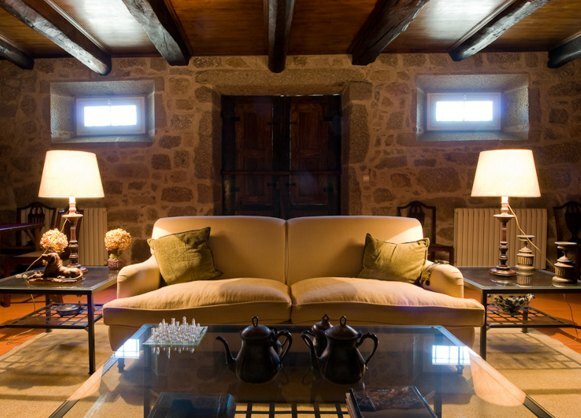 On the ground level the original stone wine cellar has been converted into three, comfortable drawing rooms. They include a games room with a snooker table, piano and card tables, and a library. The bedrooms are located in the 2 higher floors. 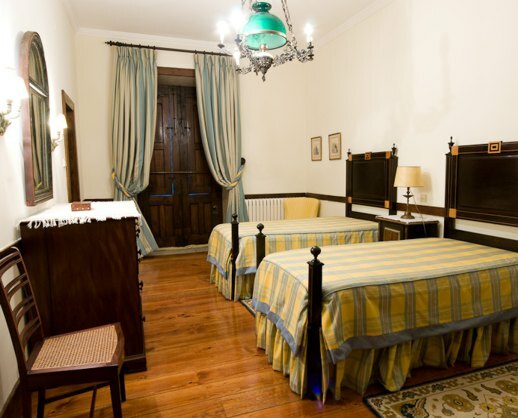 Each bedroom has been carefullly decorated by the owner and great attention has been paid to detail. The bathrooms all feature heated towel rails. 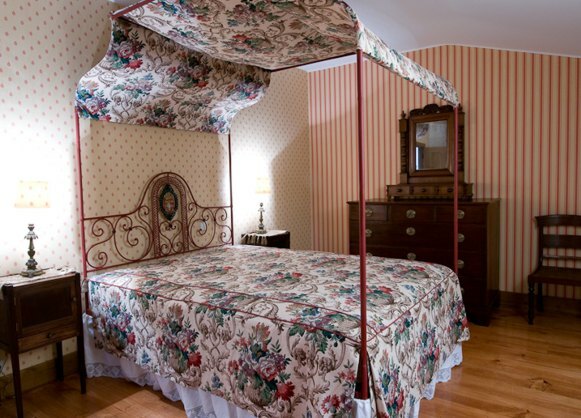 On the first floor there are 3 double bedrooms, one with a four poster bed, and 1 twin bedroom. All have an ensuite bathroom. 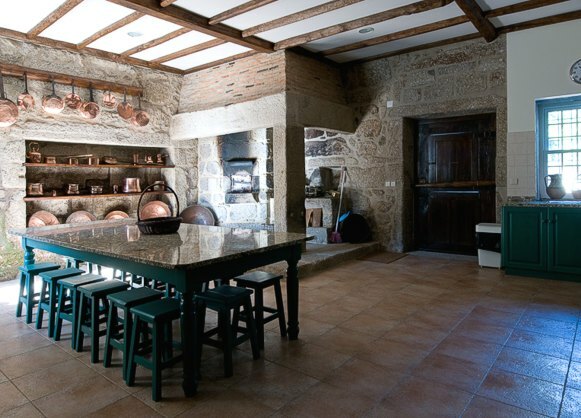 The fabulous kitchen is large and retains many traditional features including an antique oven, with modern appliances. It is fitted with hob, oven, American fridge, freezer, diswasher, microwave, coffee machine, kettle and toaster. It has a large dining table seating up to 16 persons. 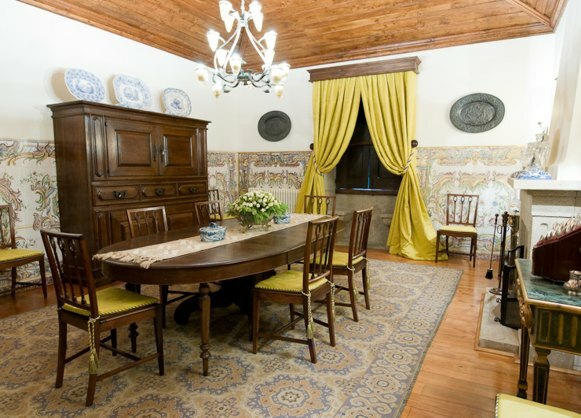 The adjacent dining room is more formal and conveys an air of splendor, with its high ceilings and Indo-Portuguese tapestries. It has a table for 10 persons and features a fireplace. 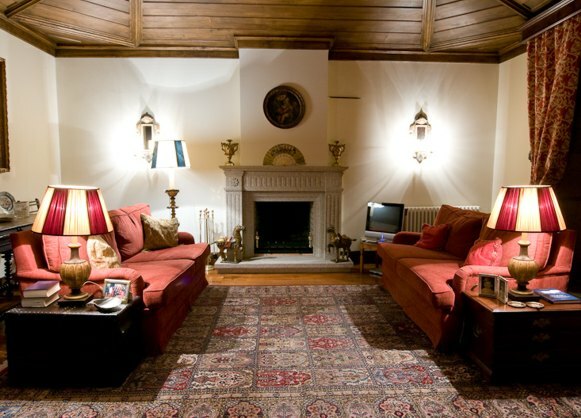 There is also a cosy living-room with cable television and a fireplace which is very agreable on winter stays. On the second floor there is 1 single, 1 double bedroom with four poster bed and 3 twin bedrooms, one of which is suitable for children. They all have ensuite bathroom except one twin which has an ensuite shower room. The villa has Wireless internet and is centrally heated. There is a large stone built terrace which has garden furniture and benefits from views over the valley. It has access to a lawned garden and swimming pool. The dimensions of the pool are 12 by 6 metres and 1 to 2,50 metres depth. 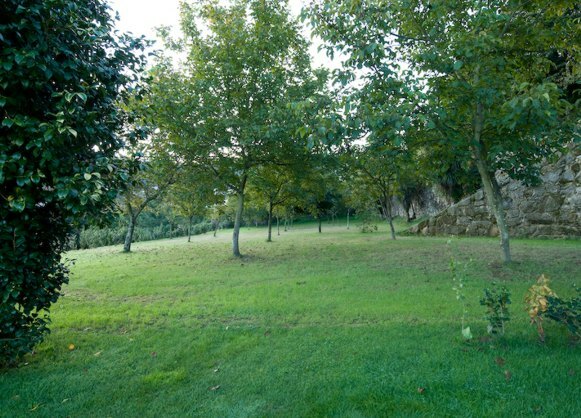 Guests can take pleasant strolls in the private wood which is part of the estate. The old town of Guimaraes is a mere 15 minutes away. Its historical centre is classified by UNESCO as a World Heritage site. 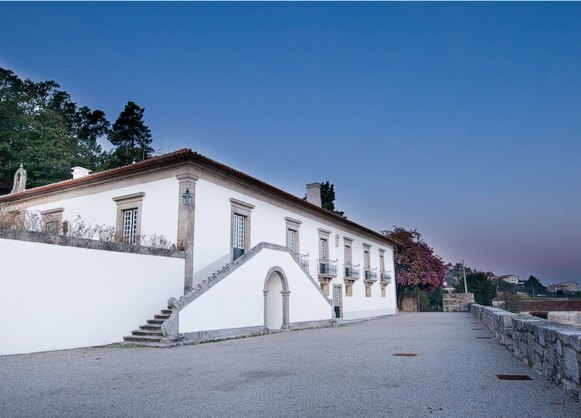 The medieval castle and Palace of Dukes de Braganca are worth a visit. The N. Sra Oliveira square has a great nightlife with several small bars open most of the week. The bustling city of Porto is located only 35km away. The twisting and narrow streets of the Ribeira quarter, famous for its life and character are a delight to explore, as well as numerous monuments. 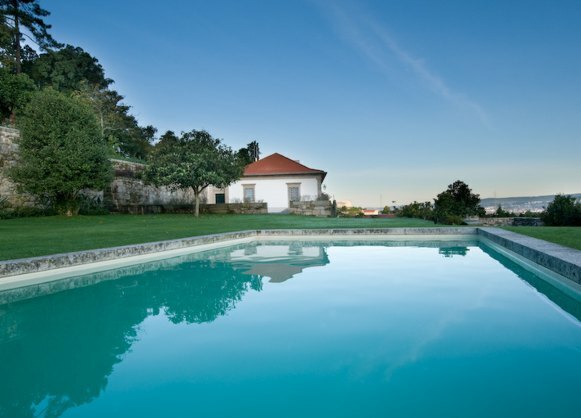 A visit to one of the many port wine lodges on the Douro river bank should also not be missed. The distance to the nearest beach is approximately 30 kilometres. There is a good restaurant and a mini-market only 500 metres from the house. My girlfriends and I stayed at the Casa de Vilela in September 2013, and had the most wonderful time there. This is our fourth trip together - this casa exceeded all prior experiences. 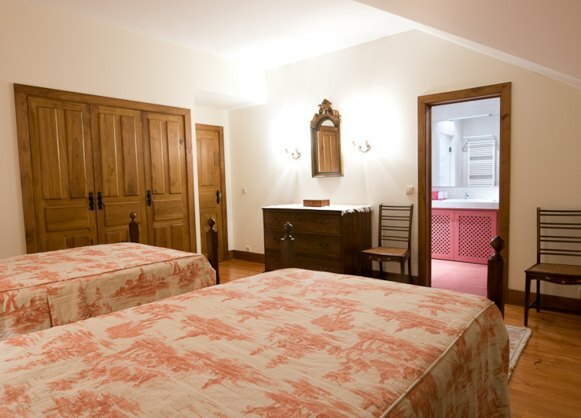 The house is very large, with 9 individual bedrooms and bathrooms, allowing us utmost comfort. The decoration and furniture were exquisite, the kitchen huge. We put the pool table on the first floor to good use! The gardens were beautiful, and the swimming pool clean and inviting. The caretaker greeted us on the first day with fresh picked vegetables and homemade wine. 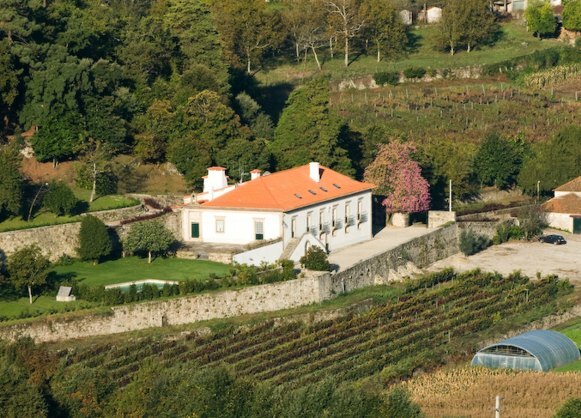 The location was easy to find, and well situated relative to the interesting destinations such as Porto and Braga. We all highly recommend this home - it is a magical place, and we would love to return should the occasion present itself.